Recently renovated, our 340 guestrooms and suites blend contemporary style with boutique charm, offering guests a stylish yet comfortable place to relax. Stay connected with work using our high-speed WiFi. Sink into the indulgence of your bed's pillow-top mattress with luxury Italian Frette linens. Choose a room with a balcony overlooking our sparkling pool or a resident-inspired suite to enjoy the conveniences of home. 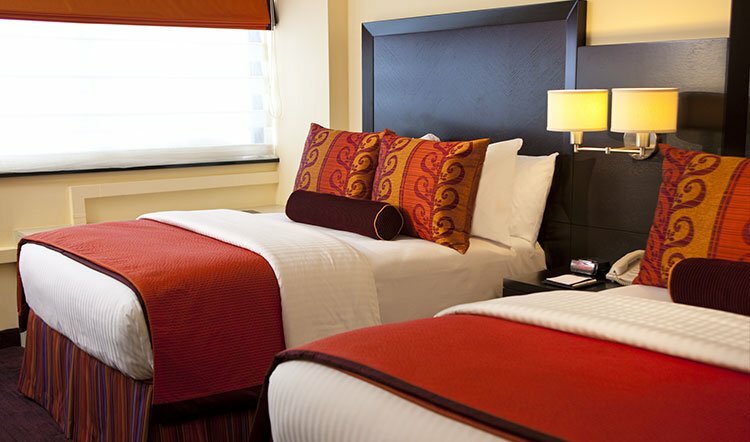 Each Washington, DC hotel room is uniquely furnished, and with our 15 different accommodation options, you're assured the ideal room for optimal comfort. Ideal for solo travelers, couples and savvy road warriors, the Superior Queen is our most budget-friendly option. Maximum occupancy: two adults; roll-away beds are not permitted. Walk out on your own personal balcony to enjoy excellent views of our beautifully landscaped pool or enjoy an evening cocktail under the stars. The ideal accommodation for family vacations or traveling co-workers, the 260 sq. 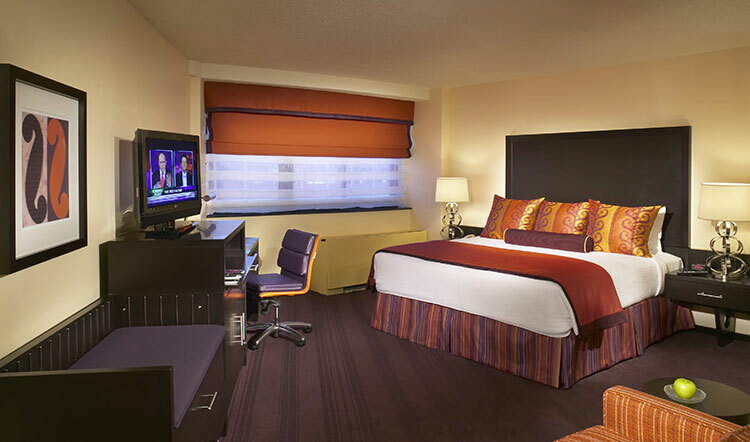 ft. Superior Double provides a convenient room configuration for added personal space. The largest of our Superior accommodations offering the indulgence of an oversized, pillow-top bed with luxury Frette linens. Maximum occupancy: two adults; roll-away beds are not permitted. 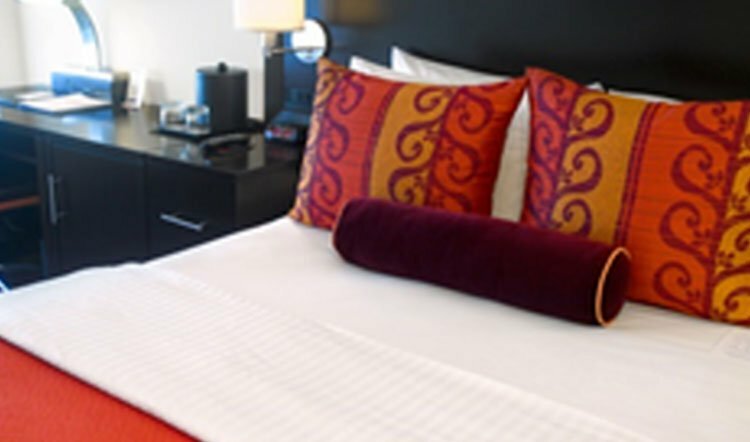 Ideal for a romantic rendezvous or the savvy business traveler, this boutique accommodation option offers the indulgence of a king-sized bed, as well as the luxury of a poolside balcony. Maximum occupancy: two adults; roll-away beds are not permitted. The Deluxe King offers all of the same charms and amenities of Superior accommodations, with the added luxury and comfort of nearly 100 sq. ft. of additional space. Maximum Occupancy: two adults; roll-away beds are not permitted. 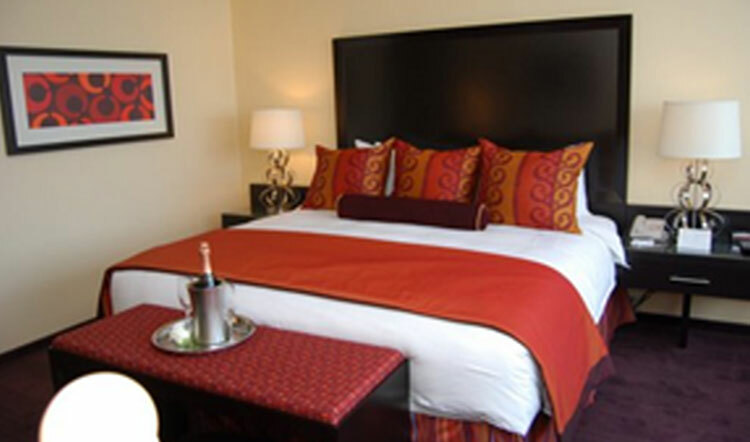 Perfect for a romantic getaway, these accommodations provide the comfort of 330 sq. ft. of space, as well as the luxury of your own personal balcony that overlooks our sparkling outdoor pool. Maximum occupancy: three adults; roll-away beds are not permitted. The ideal accommodations for a family vacation, the Deluxe Double provides the same spacious charm as other Deluxe accommodations with the added convenience of two double beds. Maximum occupancy: three adults; roll-away beds are not permitted. Enjoy the luxury of your own poolside balcony, as well as the convenience and added personal space of two double, pillow-top beds. Maximum occupancy: three adults; roll-away beds are not permitted. Featuring a queen-sized bed, the Junior Suite offers the privacy of a separate bedroom with a resident-inspired living room for hosting, relaxing or catching up on work. Maximum occupancy: two adults; roll-away beds are not permitted. Offering views of the pool and bustling Thomas Circle, the Premier King boasts spacious comfort, ideal for couples, vacationers and those who appreciate an optimal amount of space. Maximum occupancy: two adults; roll-away beds are not permitted. 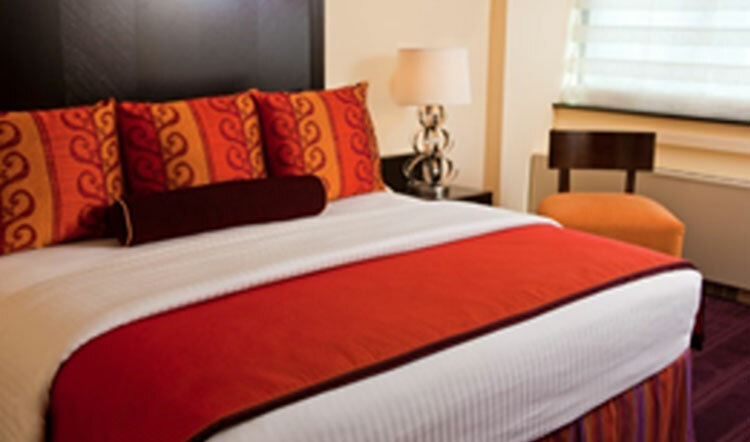 Our most luxurious guest room offering, these lavish accommodations provide spacious comfort and Thomas Circle views, as well as a walk-out balcony overlooking our sparkling pool. Maximum occupancy: two adults; roll-away beds are not permitted. 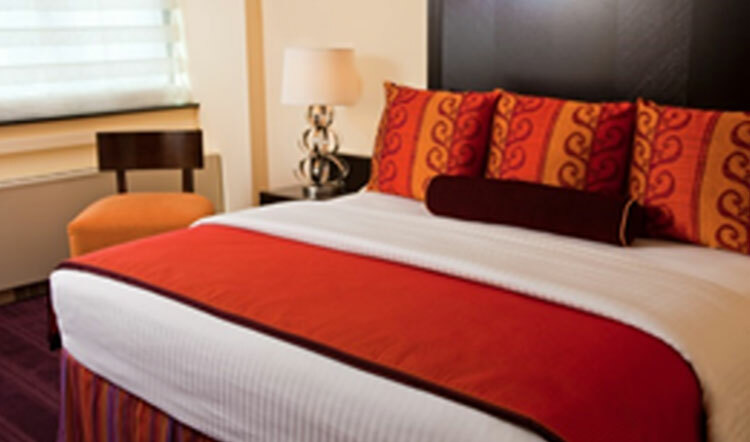 Our resident-inspired Suite King provides the luxury of optimal space, as well as separate parlor with pocket doors, a work station and comfortable, well-furnished sitting area. Maximum occupancy: two adults; roll-away beds are not permitted. 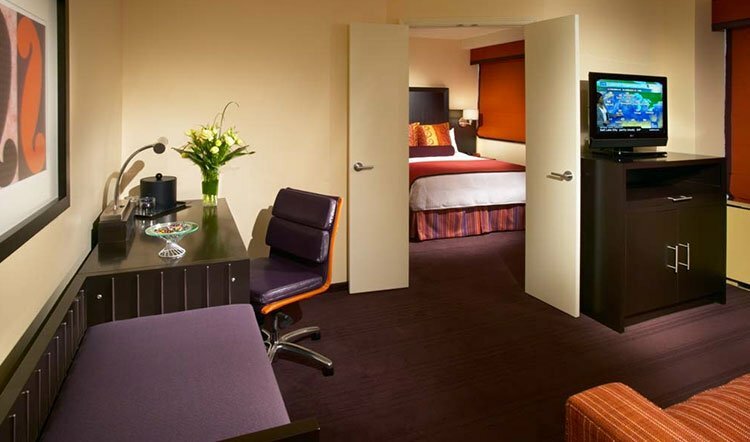 Aptly named after the hotel's famous architect, the Lapidus Suite offers 800 sq. ft. of lavish space, a multi-spray wet room, poolside balcony, private pool access and three flat screen televisions. Maximum occupancy: two adults; roll-away beds are not permitted. 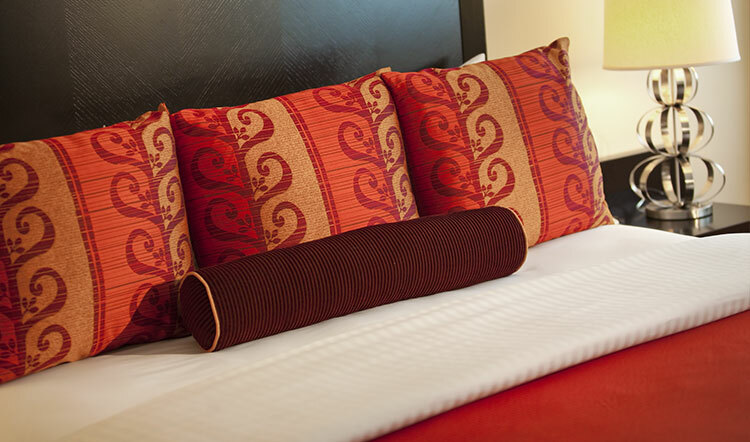 Superior accommodations offering the indulgence of an oversized, pillow-top bed with luxury Frette linens. 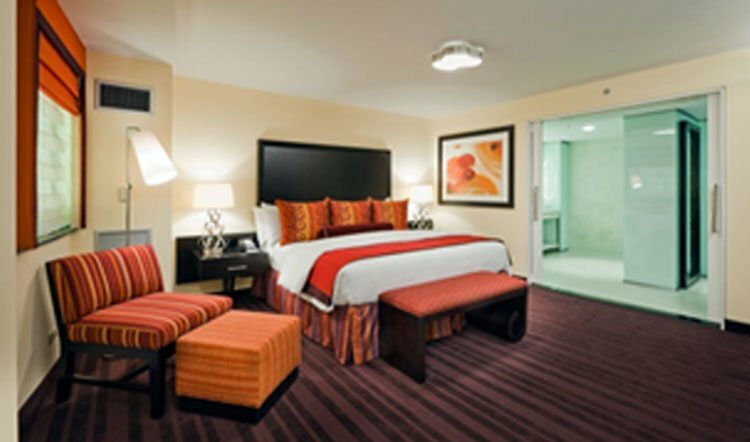 Maximum occupancy: two adults; roll-away beds are not permitted." Please use the Rooms amenities list and add these as well: Roll in Shower, Grab Rails, Accessible Sink, Light Sensor Fire Alarm.